A collection of guitars and amplifiers owned by the late Gary Moore will be auctioned off in London later this month. More than 35 pieces will be available June 29 via Bonhams Entertainment Memorabilia sale at the auctioneer's location in Knightsbridge, London. Moore made a name for himself in the late 1960s with the Dublin-based Skid Row before following bass player Phil Lynott in 1974 to play with classic rockers Thin Lizzy. Throughout his career, Moore recorded numerous solo albums, and shared the stage with the likes of B.B. King, Albert King, Jack Bruce, Albert Collins and George Harrison. 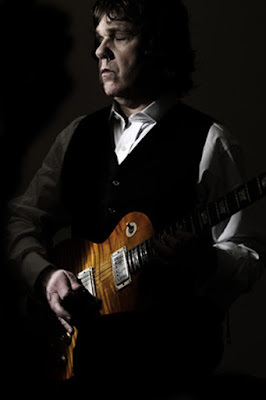 "Before his death, Gary Moore had amassed an incredible collection of instruments," says Stephen Maycock, Bonhams Entertainment Memorabilia consultant specialist. 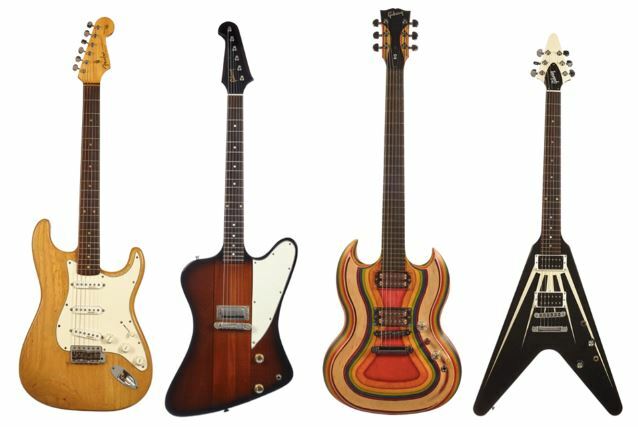 "Some 35 guitars, as well as a selection of vintage amplifiers, will be offered at auction for the first time in Bonhams Entertainment Memorabilia sale. As you'd expect from such a great musician, there's a lot of interesting guitars in the collection, including several Gibson Les Paul models." Leading the collection is a 1963 Fender Stratocaster, estimated at $12,000–17,000. The guitar was a gift from the late Claude Nobs, founder of the Montreux Jazz Festival. It can be seen on live footage of the Fleadh festival in Finsbury Park, London in 2001, and the "Blues For Jimi" DVD in late 2007. Also featured is a Fritz Brothers Roy Buchanan Bluemaster guitar, estimated at $3,600–5,100. Moore ordered the guitar after borrowing a similar instrument from George Harrison, who was his friend and neighbor in the Oxfordshire town of Henley-on-Thames. Moore used Harrison's guitar when recording a track on the 1989 album "After The War", and he later decided to purchase his own to use for live performances. Moore passed away on February 6, 2011 at the age of 58 from a heart attack following a night of heavy drinking while on vacation in Spain.